What does our domestic cleaning in Barnes feature? When you hire Top London Domestic Cleaners, you will specify your needs and requirements for the service. We can provide a one off or regular cleaning service, whichever best suits your demands. We will then send a professional cleaner to your home on a time and date of your choosing, who will deal with the tasks you deem problematic. 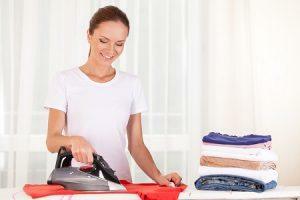 You don’t have to worry about annoying and time-consuming chores anymore, as we are here to take care of that for you. You can rely on us to do some general cleaning of most of your rooms or a bit more specialised cleaning service like oven cleaning for instance. The result of our work will always be nothing short of perfect. How can you hire our help? You can either contact us on 020 3322 8143 or send us an email. But nothing beats a quick call and a talk with our company representatives. You will find them all very polite and ready to answer all of your questions about our services. You will then be able to make an informed decision about our service and get what best suits your needs. Our service is highly convenient, so you don’t need to worry about a thing. The result of our work will always be perfect. We welcome any feedback on your side and will try to improve the service to match even higher standards! Don’t hesitate – contact us for a fantastic domestic cleaning in Barnes today! One of the districts in the London Borough of Richmond upon Thames is Barnes. It is the area closest to Central London, being in the extreme northeast part of the borough. Barnes is located by the riverside, the east side of which features a number of playing fields for different national team sports. The high street of Barnes is a mix of convenience and art stores, along with many 18th and 19th century buildings. One of the landmarks in the area is Bolan’s Rock Shrine, on the site of Marc Bolan’s car crash in 1977. Barnes Common is a large open space and a nature reserve, which spans for 120 acres. Barnes has 8 churches in total and 2 railway stations: Barnes Bridge and Barnes. The nearest tube station is in Hammersmith. Our domestic cleaning in Barnes is available 7 days a week – get in touch with our company by dialling 020 3322 8143.